To examine and clarify the relevant law and policy underpinning the state’s management of water supply; and to examine the role of the public trust doctrine and statute in relation to water-supply law. grandfathered rights to take water. A Public Meeting will be held to discuss this triennial review process. More information is available on the 2019 Triennial Review web page. (*) Snow date: March 15, 2019 from 1:30 to 3:00 PM. Please submit your comments in writing to DEEP.WQS@ct.gov on or before April 5, 2019. The Connecticut Department of Energy and Environmental Protection (Department) is initiating a review of Connecticut Water Quality Standards (“WQS”). 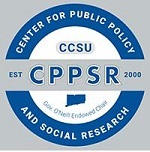 This review is being conducted to evaluate the need to update or revise the WQS in order to remain consistent with state and federal law and to ensure that Connecticut’s WQS continue to reflect the best available science and support sound water quality management policies to improve and protect the water resources of the state. The Department is requesting input from all interested parties on any aspect of the WQS that the public believes the Department should consider for potential revision. The comment should include the topic of concern, whether it is currently covered by the WQS, and if so where, any suggested revision and the basis for the suggested revision. Any technical information or reports supporting the comment should be included. March 4, 2019 through April 5, 2019. After reviewing any comments received during this Triennial Review, the Department will develop recommended updates to the WQS and initiate a formal regulatory revision process. 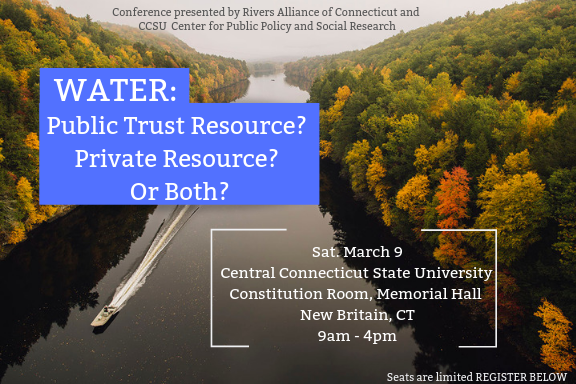 Continue reading "WATER: Public Trust Resource? Private Resource? Or Both? Conference"